The videos. The photos. The slides. All the highlights from our first February SaaS event in London. Last week we held our first ever London SaaS event in our new office, just off Old Street Roundabout. Every day we meet smart, hard working, passionate people working in SaaS in and around London; but if you read the popular tech sites, it can sometimes feel like the only interesting SaaS companies are the ones based in San Francisco. So we wanted to change that – what if we threw an event to highlight a few SaaS success stories in London? 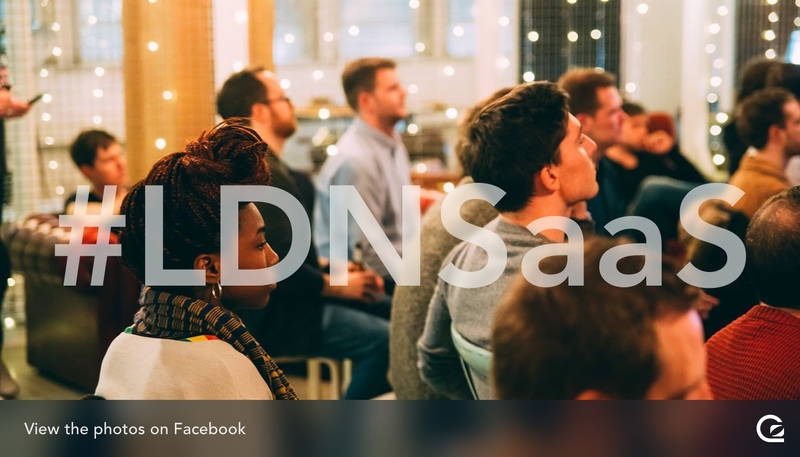 That’s how we came to running the first LDNSaaS event. We were extremely fortunate to have three fantastic speakers join us to kick off this event series – Fraser Deans of Nickelled, Tom Carrington Smith of CharlieHR, and James Allgrove of Stripe. Fraser Deans, Co-founder and Digital Product Designer of Nickelled, spoke about how they’ve bootstrapped their business to success. Fraser’s entertaining and practical talk dives into how focusing on fewer features and fewer use cases helped them grow faster with a smaller team. View Fraser’s slides on Slideshare. Tom Carrington Smith, Co-founder and Chief Product Officer of CharlieHR, spoke about how they’re striving to build a lovable product and brand. Tom’s humble and open talk shares how they came to building an HR platform, and how companies like Slack and Trello are inspiring them to develop a brand their customers love – not just a product their customers use. James Allgrove, head of UK growth at Stripe, spoke about how the world of SaaS is changing and the key strategies that successful SaaS companies take to grow. James’s talk highlights how companies are making use of Stripe to accept payments globally and dives into the key principles that leading SaaS companies follow to win and retain paying customers. You can also see Stripe’s research into the tools that power the startup economy here. To round off the event we ran a panel discussion with our speakers – kicked off by a few questions from James, and then onto questions from our audience. Check out the Q&A for some insights on topics such as dealing with competition, how to think about the sales function in SaaS, and the pros and cons of raising money vs bootstrapping. We’re thrilled with the feedback and response to our first SaaS event in London. Missed out? While we can’t send you free beer, food, or inspiring conversation via this post, here are the photos from the evening. We’re looking forward to welcoming even more passionate people from the SaaS world to our next event – stay tuned for more details by subscribing to the GoSquared Weekly newsletter!